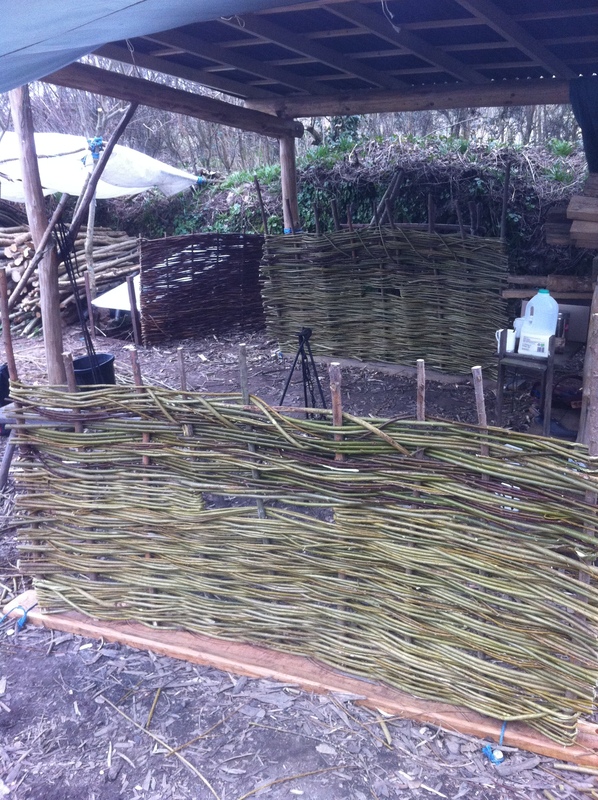 Courses & Workshops – I have also been busy at the diary planning courses in bushcraft, green woodwork and traditional archery for the Spring and Summer through my company “Future Tracks” (www.futuretracks.co.uk). I will be sending out an e-newsletter every 4-6 months updating people about courses and workshops so if you would like to subscribe please click here. The course dates and details are listed below for those who just want to have a quick look. Wild Camping – We base all the courses at Plan-It Earth Eco Project (in Sancreed, West Cornwall where we are also offering Wild Camping from Easter – September. The site is a young woodland with wood fired shower, compost loo’s and the ability to have a campfire on the ground for cooking. We only have 12 pitches, each in its own secluded area. So if you fancy a quiet, relaxing holiday in beautiful surroundings (with the best beaches in the UK 15mins away!) and wanted to brush up on a few woodland skills as well then get in touch. Send me an email gregh@futuretracks.co.uk. 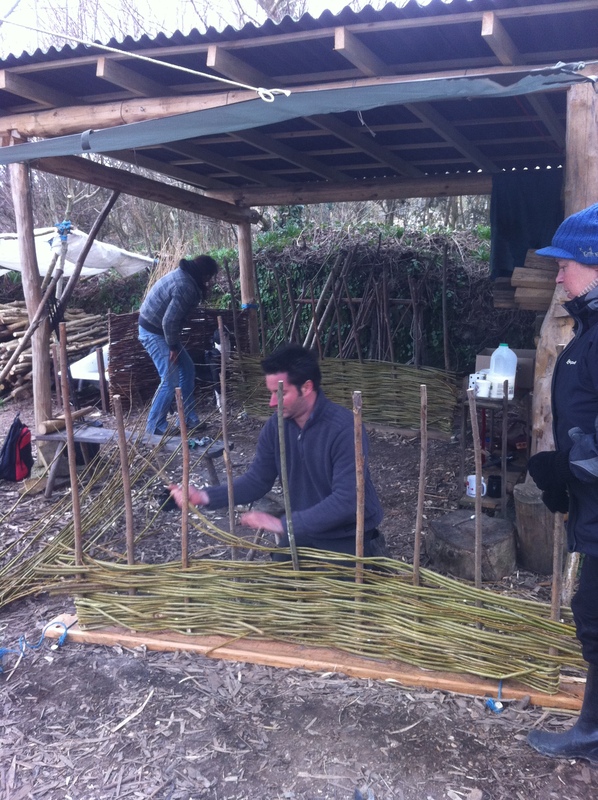 These 1-day courses are designed for those wishing to spend more time enjoying and living with nature, and are based in our woodland / coppice in Sancreed, West Penwith. 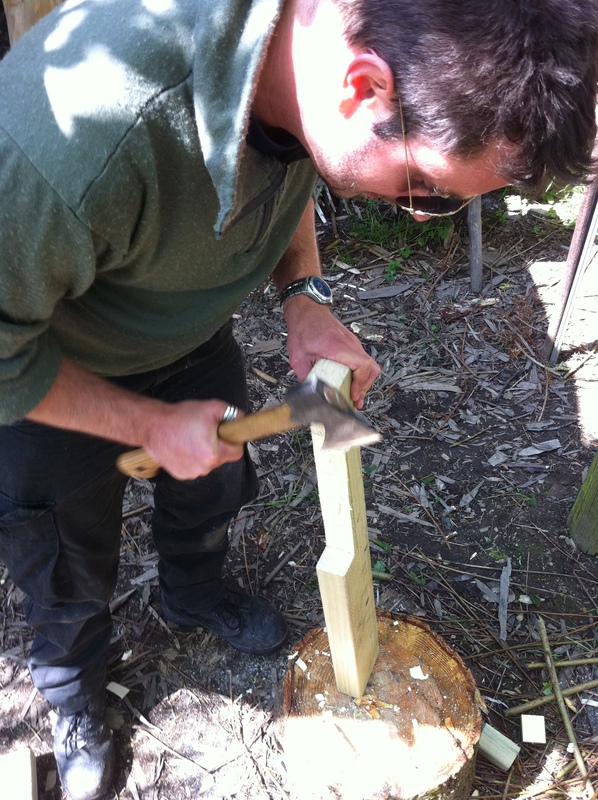 From basic bushcraft and survival to deeper and more advanced skills these courses offer a wealth of knowledge from a woodsman who uses them regularly in his work. 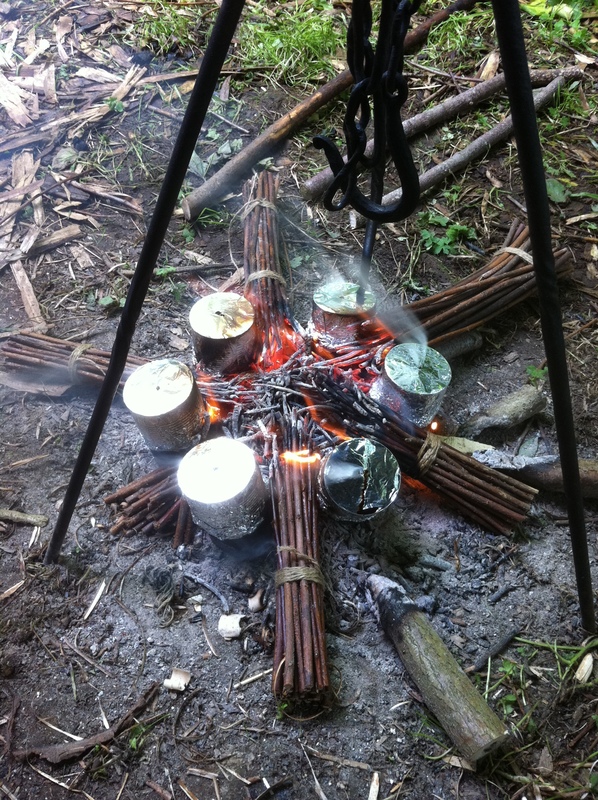 Bushcraft Basics – (Age 9+, all children to be accompanied by an adult) Designed for those wishing to camp in the wild with minimum kit, the day covers the four basics of bushcraft; Shelter, Food, Fire and Water. The morning is spent practically exploring the basics of shelter and wild food for lunch (plants and meat with veggie options available); the afternoon we obtain clean water through filtering and treating and safely make fire in different ways. Course Dates: March 9th + 23rd + 29th/ April 13th + 20th + 27th / May 11th / June 1st + 15th / July 6th + 13th + 20th + 27th / August 3rd + 10th + 17th + 24th + 26th. Throw It and Shoot it! 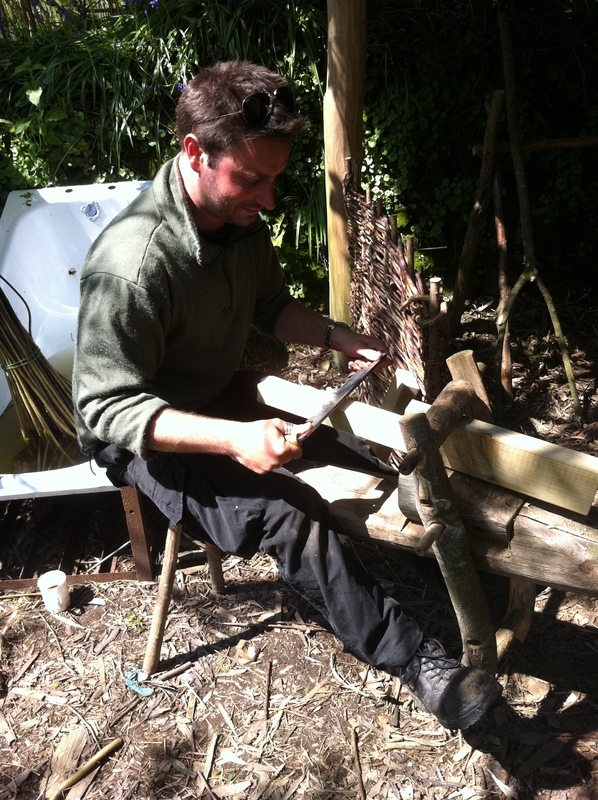 Bushcraft Projectiles – (Age 9+, all children to be accompanied by an adult) Come along in the morning to learn how to make atlatl spear throwers and slings (or catapults); and then in the afternoon we make greenstick bows and arrows. All tested on our target range in the wood!. Course Dates: March 22nd / April 9th + 16th / July 2nd + 9th + 16th + 23rd + 30th / August 6th + 13th + 20th + 27th. Bushcraft Camping Kitchen – (Age 9+, all children to be accompanied by an adult) Designed for those wishing to make their wild camping more comfortable. In the morning we make greenwood camping stools and prep some wild food for lunch. In the afternoon we fire your own clay pots in a fire pit whilst making a cup using embers and simple tools. Course Dates: April 10th + 17th / July 3rd + 10th + 17th + 24th + 31st / August 7th + 14th + 21st + 28th. Advanced Fire Making – (Age 12+, all children to be accompanied by an adult) A day-long intensive course for those wishing to improve their fire making skills. Starting with the basics we learn how to make fire using modern methods and tinders (matches, lighter, firesteel using cotton, char cloth, paper); then progress to wet weather firelighting and using a bow drill with natural tinders. Various fire lays will be discussed and used throughout the day. 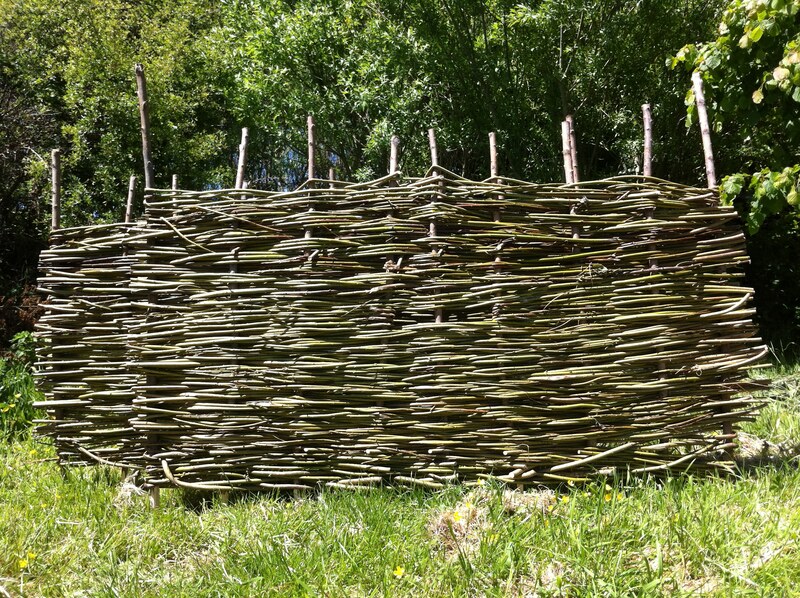 These courses are offered from our outdoor workshop in the woods for those wishing to learn how to get the most from wood and woodland in a peaceful, relaxed environment. Each course takes you on a journey from selection of wood to finished product with Greg Humphries, a seasoned woodsman and coppicer, as your guide. Attendee numbers are kept small to assure lots of 1-2-1 attention and are based in Sancreed, West Penwith. Charcoal Making – (Age 16+). Come along to the woods for a day to prepare BBQ, and artists charcoal, with a seasoned woodsman and commercial charcoal producer. Produced with mobile charcoal kilns, and using everyday materials charcoal production is a good source of income for small woodland owners. Take away your own artists charcoal. Materials, tools and drinks included. Course Dates: March 26th / April 2nd + 30th / May 28th. 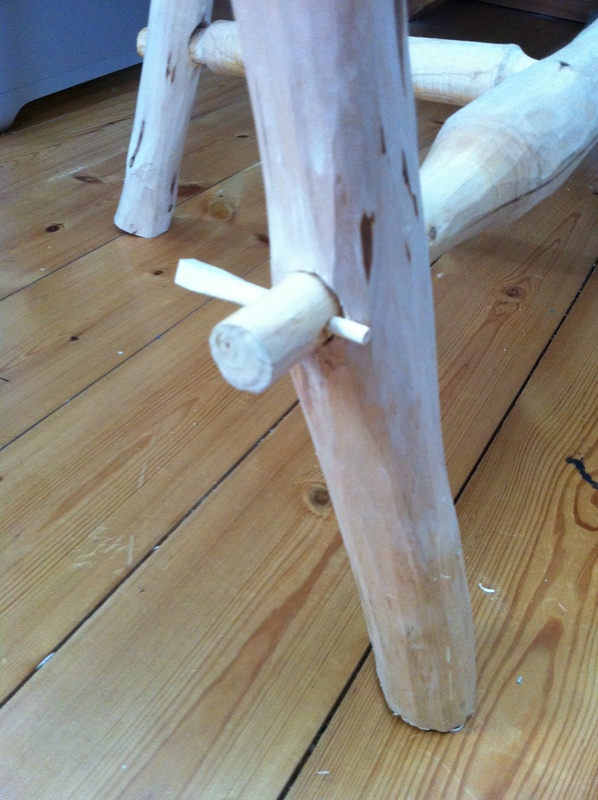 Greenwood Furniture Making – (Age 12+, all children to be accompanied by an adult). Come to the woods for a day to make some unique furniture. Learn wood selection, material properties and identification; then use an axe, shavehorse and drawknife to shape your wood. After lunch learn the basics of a pole-lathe and use a rounding plane, drill and bit to create your individual pieces. Materials, tools and drinks included. Course Dates: March 20th / April 6th + 24th / May 1st + 14th + 20th + 29th / June 3rd + 10th. 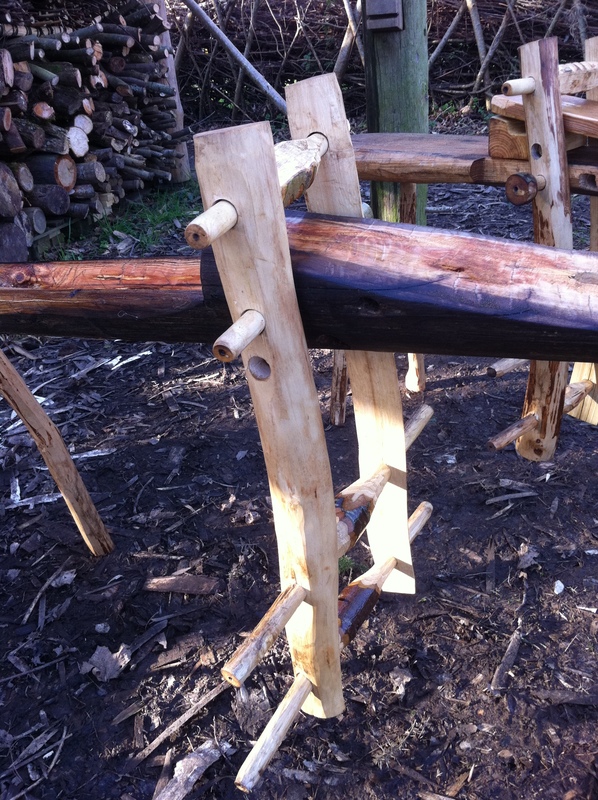 Making Walking Sticks – (Age 9+, all children to be accompanied by an adult). Come for a relaxing afternoon in the woods to learn how to make your own beautiful walking sticks. From knife safety, tree selection and cutting the stick; to hand carving techniques and fitting ferrules / handles. Materials and tools included. Course Dates: April 28th / May 7th. These courses are offered for beginners and experienced archers alike from our woodland outdoor workshop in Sancreed, West Penwith, Cornwall in a peaceful, relaxed environment. Attendee numbers are kept small to assure lots of 1-2-1 attention. Traditional Bowmaking: (Age 12+, all children to be accompanied by an adult). This popular 2-day course should have you shooting and taking home a working bow if you work hard. More advanced than a “Greenstick Bowmaking” course, Greg takes you through wood selection and the principles of bow design (including tillering) to a finished bow & bow string, which you can shoot on our woodland target range. Through the 2-days there are plenty of opportunities to discuss aspects of your archery interests, with plenty of tea and coffee provided! Materials, tools drinks and a light lunch both days are provided. Cost £150.00 per person (2 x days). Course Dates: May 17th and 18th / June 28th and 29th. Traditional Arrows and Fletching: (Age 12+, all children to be accompanied by an adult). You’ve made your bow now come to learn how to make self-nocked traditional arrows! Using traditional materials the day takes you through the whole process of arrow construction from tree to finished arrow. We explore wood selection and shaft making using tools and jigs, spine testing, cutting nocks, nock inserts, glues from skin and bone, cutting feathers, fitting feathers to shaft and binding them with thread. Materials, tools and drinks are provided. Course Dates: March 27th / May 25th / June 14th. It is a privilege to be able to work in the woods throughout the year, and to see one woodland change over the years is truly incredible. 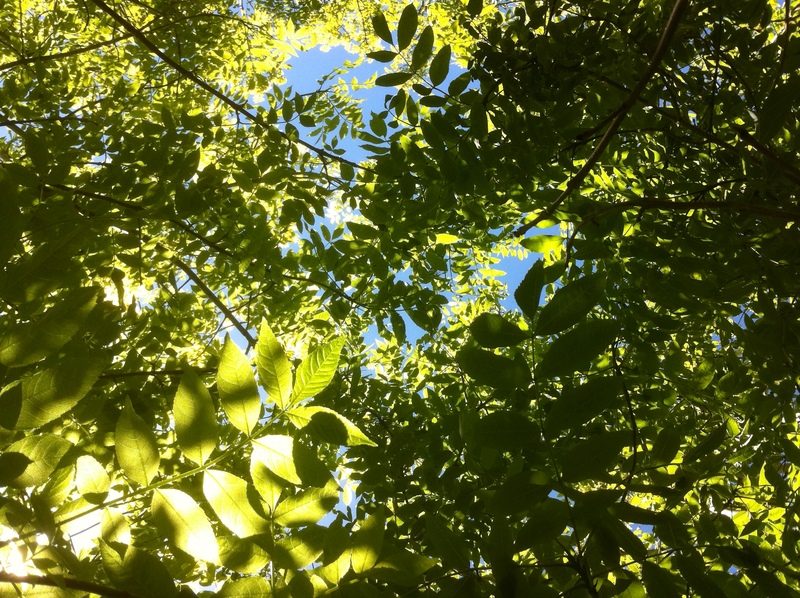 …and we are hoping Calara Fraxinea (Ash Dieback) will not get down to this part of the world for the next 10years or so, so cutting now will produce another good crop in 8-10years. That’s the scientific projection anyway!? It will be such a cause of pain to me to see these trees disappear, but we can always replant with another woodfuel crop; Sycamore maybe?…does anyone out there have any ideas? “Every time I use Greg’s charcoal something magic happens” – Naomi Frears. Over the past 3 years I have been refining the process of producing artists charcoal. Down here in Cornwall there is no shortage of artists believe me 🙂 Even so, the majority of clients I have for this charcoal are in education. Larger clients include Newlyn Art School (www.newlynartschool.co.uk) and Woldingham School (www.woldinghamschool.co.uk), but I also run workshops teaching people how to make their own. A tricky commission this one. 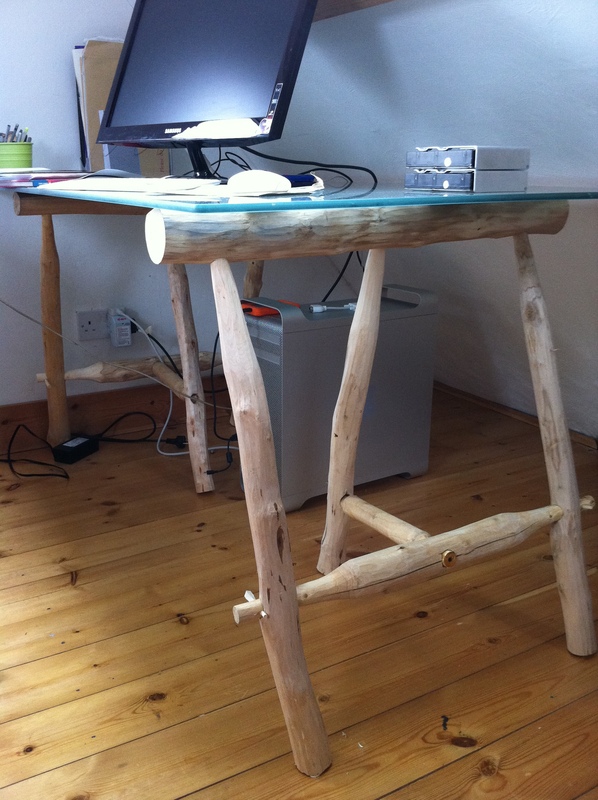 The client wanted a pair of trestles to old a 5mm thick glass tabletop, which would be used as a computer desk. They needed to be sturdy enough to hold the weight as well as beautiful. Gulp! 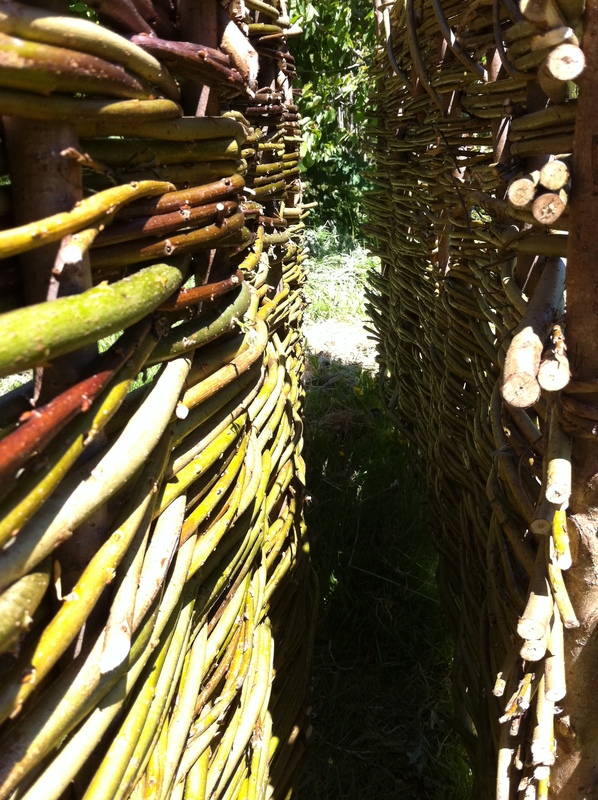 Anyway, I used a combination of ash, maple and hazel coppiced last year then included “wedged and pegged” joints to prevent the whole thing collapsing as the wood seasoned. The result is truly stunning (even if I do say so myself :-)). 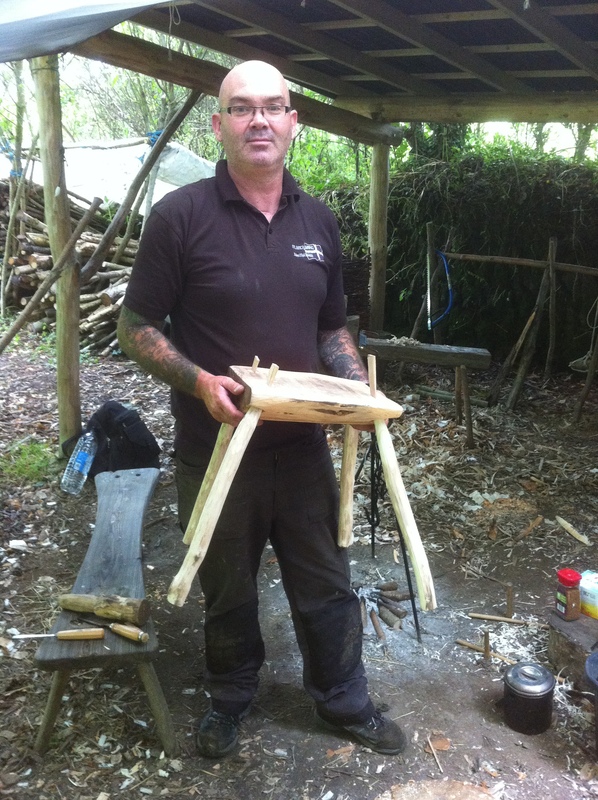 I have been making greenwood furniture from the wood I coppice for a few years now. 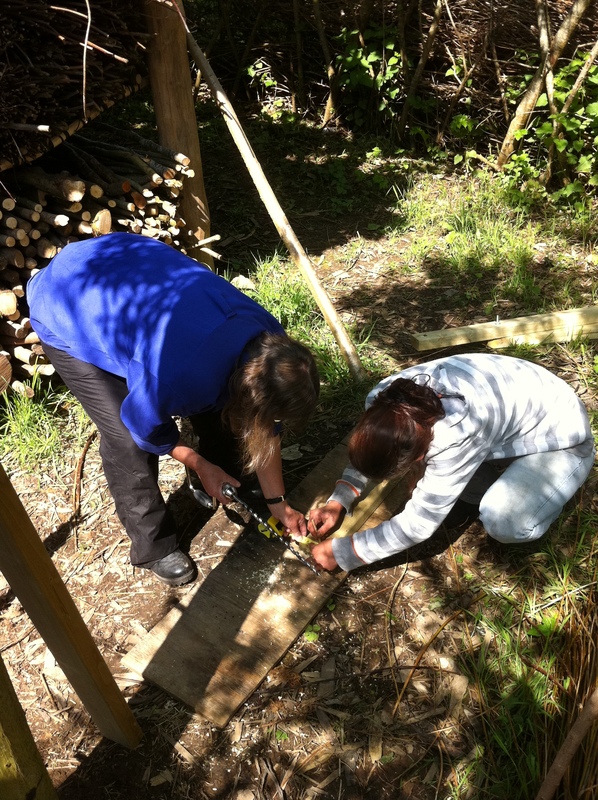 This summer I have been teaching people the green woodwork skills I know via 1-2-1 workshops. People have found sitting in the woods, by the fire a relaxing and enjoyable way to spend time learning new and useful skills. Invariably they go away with their new piece of furniture happy and content. 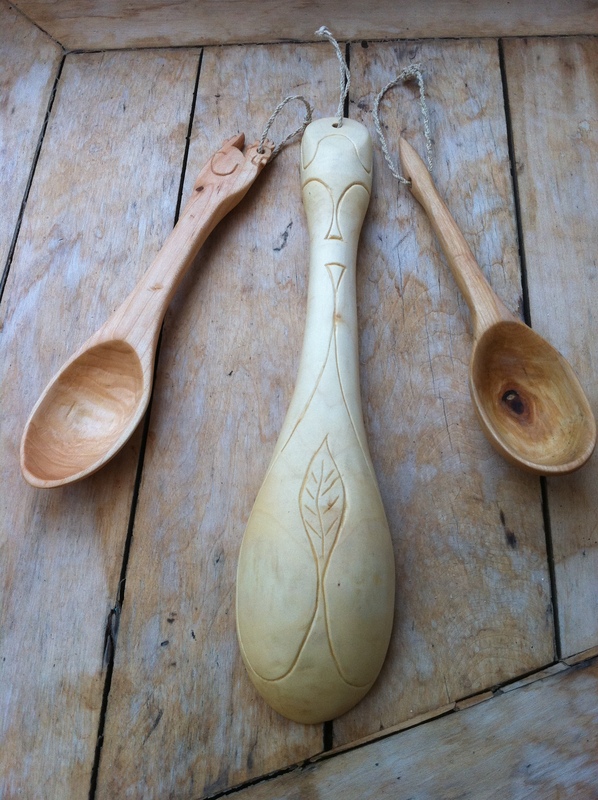 This summer I have been hand carving spoons for various clients and have found chefs particularly like them as I can tailor the shape, length, bowl size and weight to their specifications. 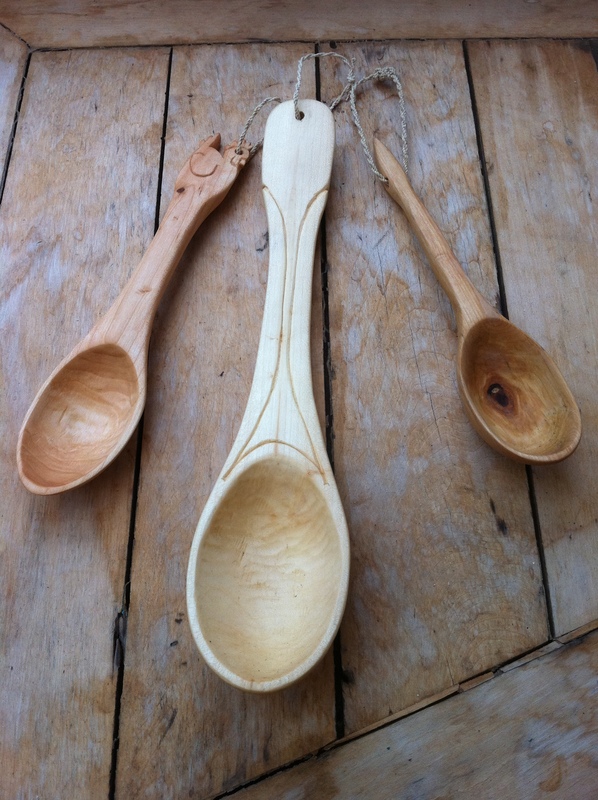 Made from Cornish sycamore as it doesn’t flavour the food, and sealed with food grade flax oil, these spoons are bespoke items hand crafted for individuals. 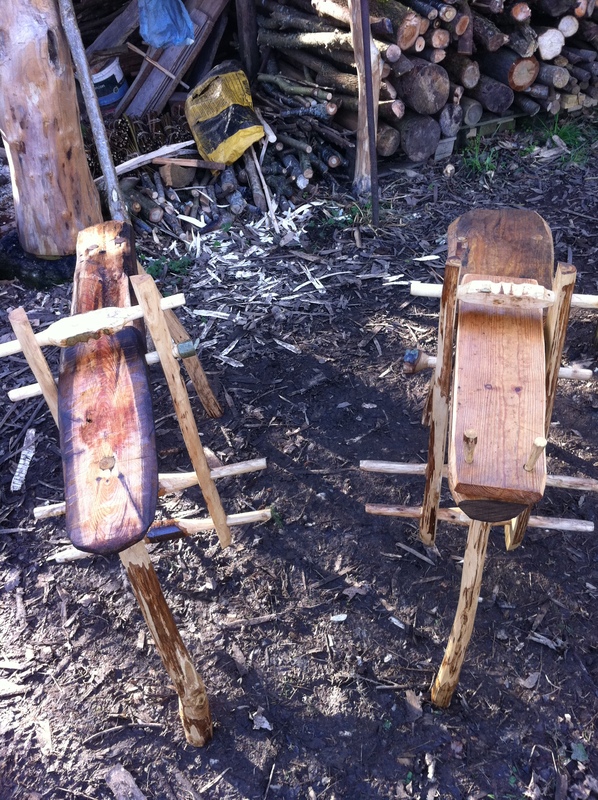 A local community group commissioned me to produce a couple of shave horses for them to use in their woodland. 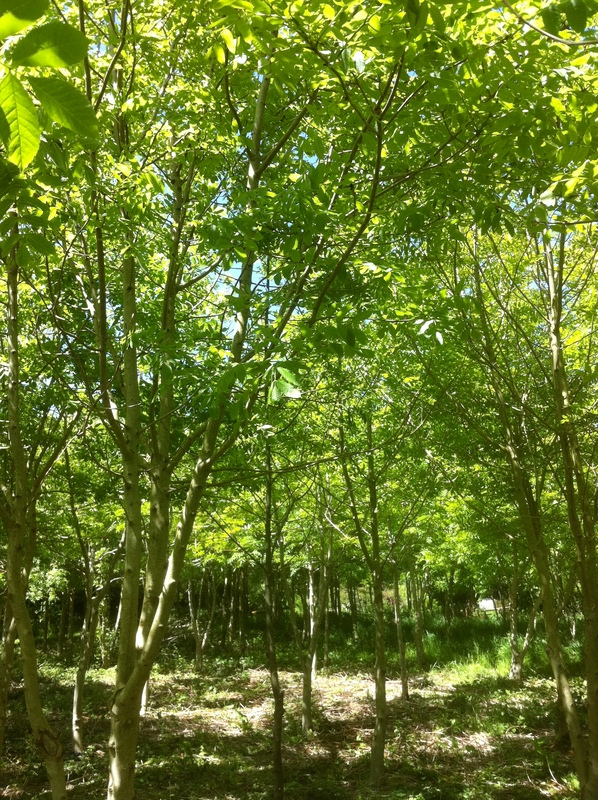 I completed them in 3 days in early summer from a mixture of Sweet Chestnut, Ash and Hazel I had cut in the Winter. The finished horses were then flooded with linseed oil to seal them against moisture. The clients were very happy to recieve them. For the past year or so I have been consulting for the Gover Valley Forest Project; passing on and sharing skills to help them manage and maintain their own small woodland near St Austell, Cornwall. 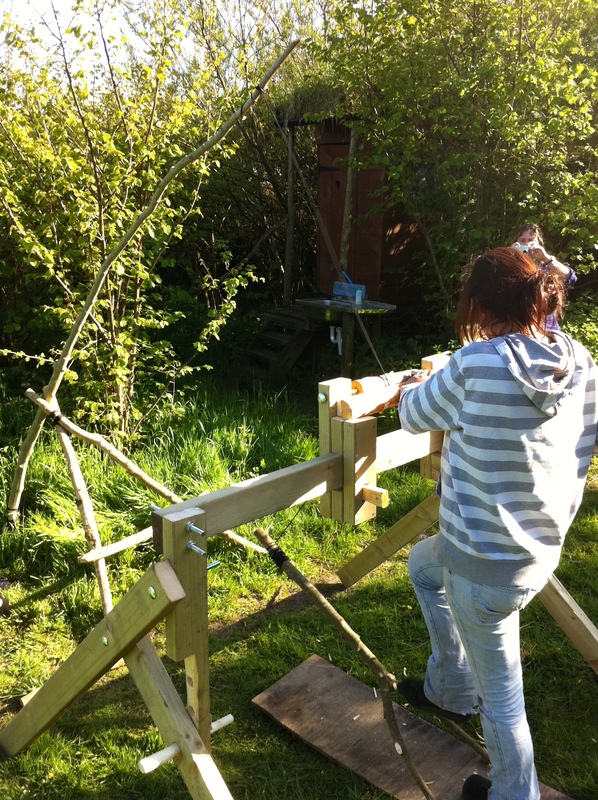 Back in May I designed and helped them construct their own portable pole lathe to use in the woods. The group was separated into smaler units to work on the poppets, legs and bed. This 1 -day workshop is an intensive day with everyone having to lend a hand and get stuck into the work to have a working pole lathe by 4pm! It incorporates many green woodwork skills to achieve a working lathe, including axe work, shavehorse, brace and bit joints etc . Well done everyone for all the hard work, and getting it done on time. Transforming the overgrown and neglected Withy Wood at Higher Keigwin into coppice began in earnest this Winter. 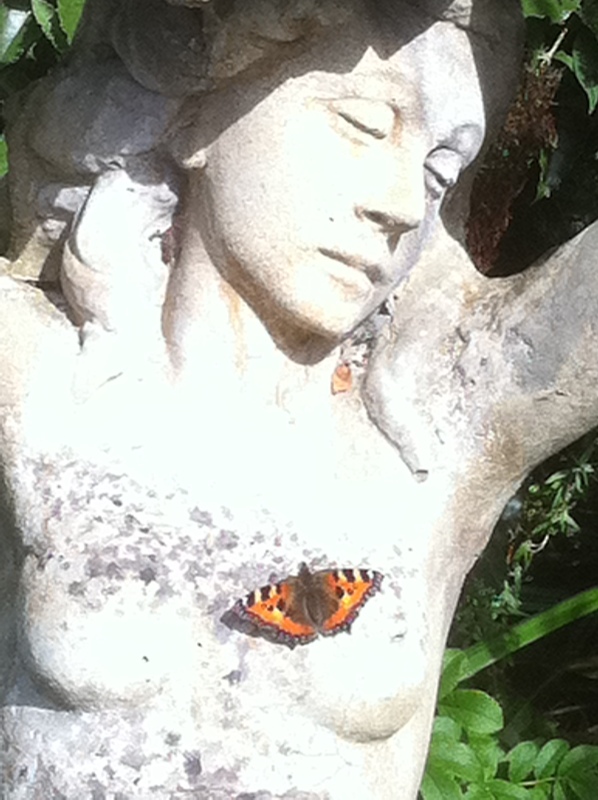 Despite the wet, wet, wet weather! we managed to transform this…. 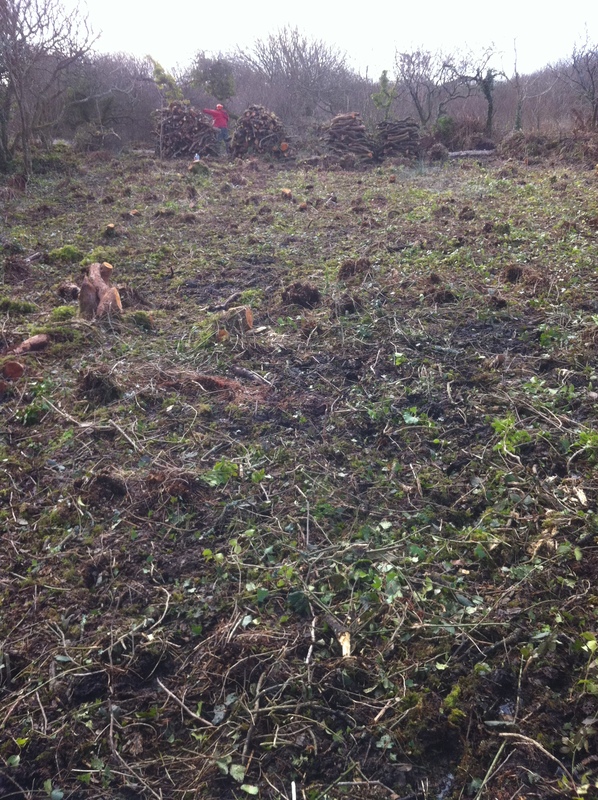 …through clearing and felling about 1/4 – 1/2 acre per year which produced 6 – 8 cubic metres of cut wood. 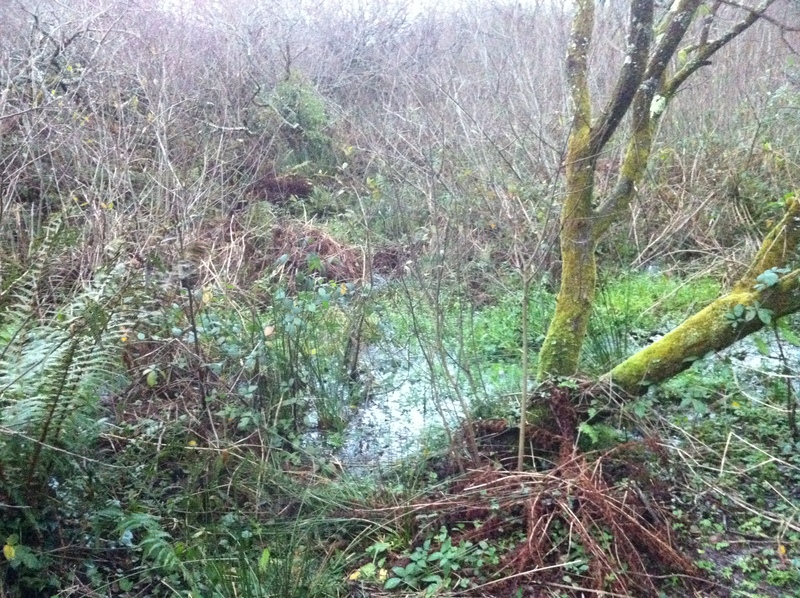 Drainage was also improved by digging out old and neglected ditches at the edge of the site. 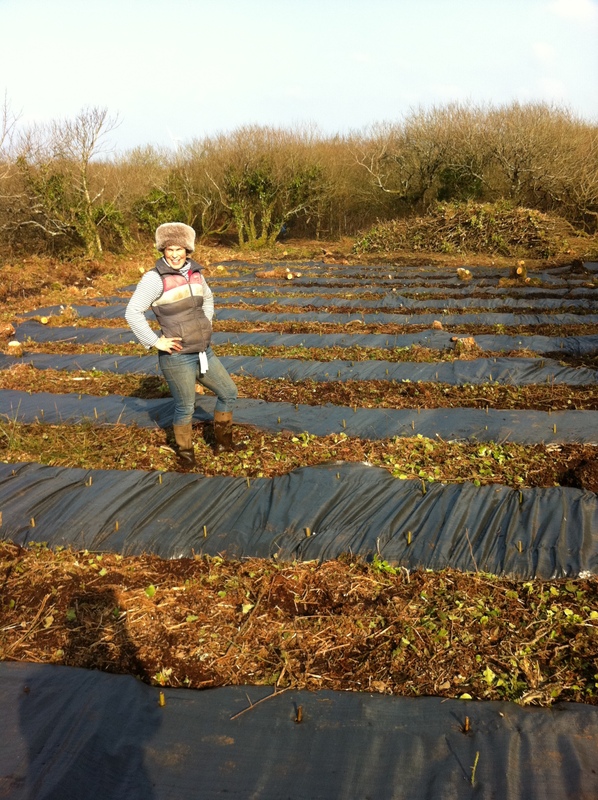 Once this was done the mulching plastic was laid and willow setts planted to improve stocking density. 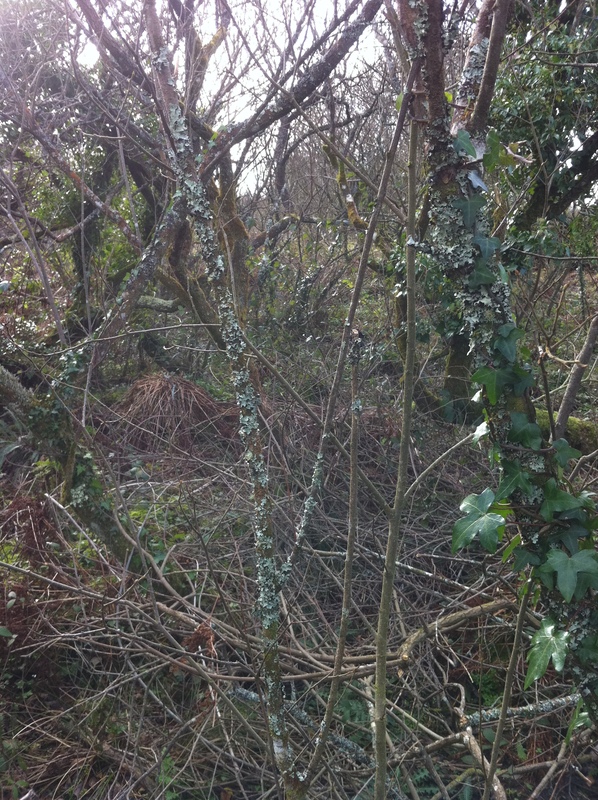 As well as a good willow coppice, it looks as if we also made a new happy coppice owner! Thanks Lisa, Piers and all the family.